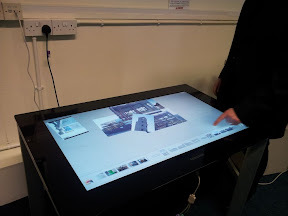 The School was contacted earlier this year by Chris Aitken at Wick High School. He had a group of 7 higher students who wished to study Computing at university or college so built on the existing partnership with ourselves to offer a “computing science experience day” to our pupils. 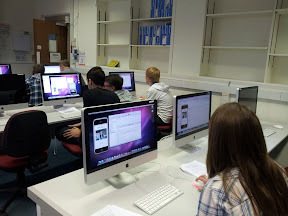 The pupils chose which topics they wished to study and they opted for iPhone programming and robot programming, as well as taking part in sessions on games design using Unity and “green screen” video editing. Chris wanted to have the event due to the large increase in the number of students opting to study computing (science) in S3-S6 over the past three years. 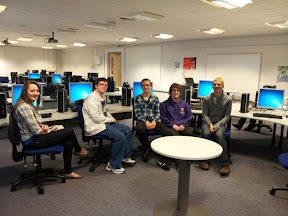 Consequently, they are also seeing the number of students wishing to study Computing Science at university increase. they believe this is, in part, due to the “relevance” of studying topics such as app design and ensuring the subject moves with the times. The timetable for the day was quite intense and we strayed away from it from time to time but in general, this was the outline of the day. 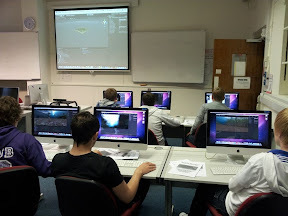 From a personal perspective, I came away inspired with new ideas on how to proceed with the new NPA computer games design course as well as a more sound knowledge of how to prepare my students for a career in computing science. 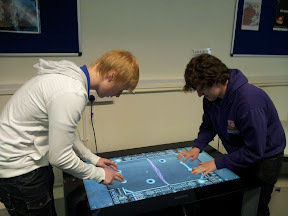 In conclusion, our day at RGU helped our pupils decide that they want to take their education in computing further. From speaking to the students after the trip, they came away inspired with an increased confidence in their abilities and desire to learn more. Thanks very much to all the staff at RGU who made this experience possible. I believe if we make this a recurring theme it will undoubtedly benefit the school, the university and most importantly the students.